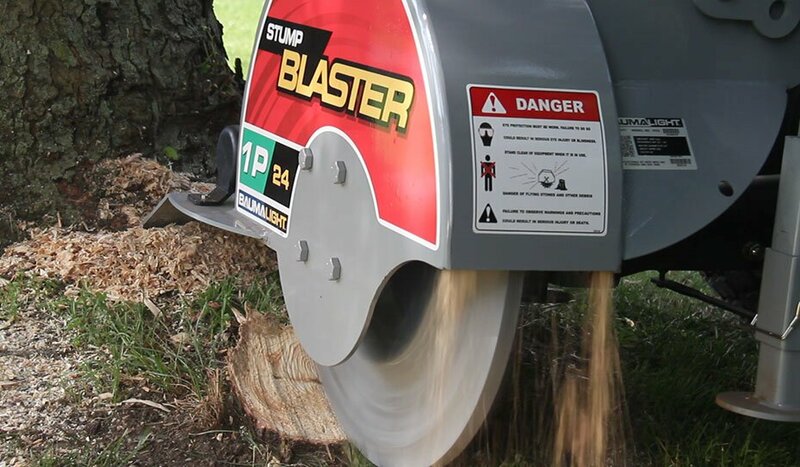 Baumalight specialise in heavy duty stump grinders. 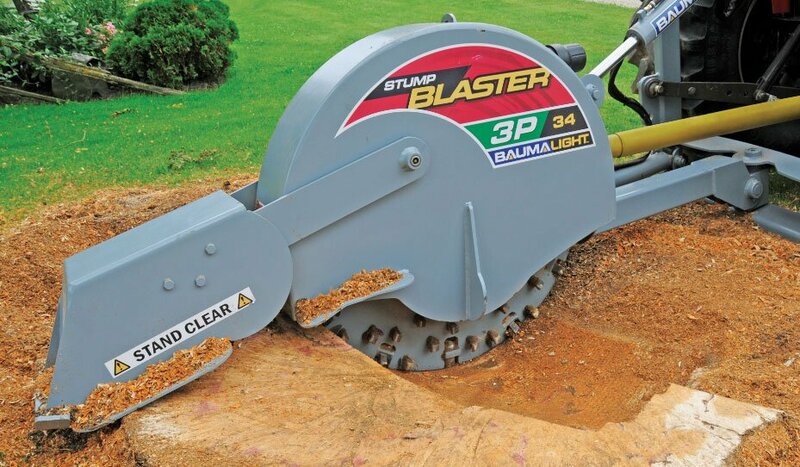 The Baumalight Stump Blaster range has more teeth, more clearance and more control than comparative stump grinders on the market. 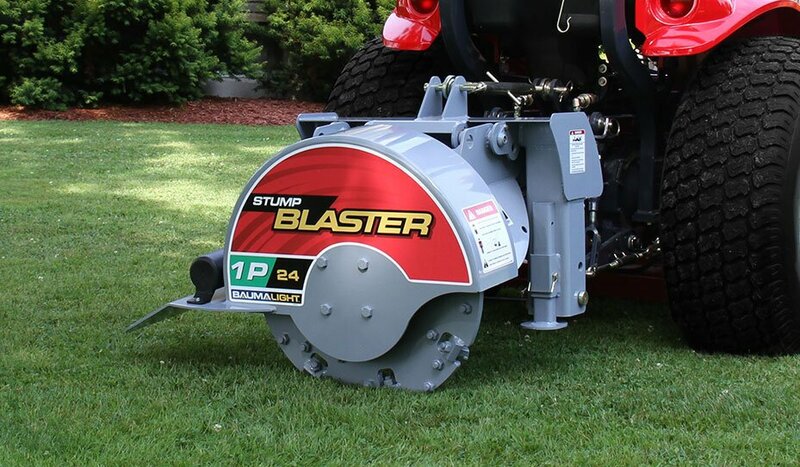 The stump blasters are PTO attachments which are available in 4 models – 1P24, 3P24, 3P34, 3P40 models. 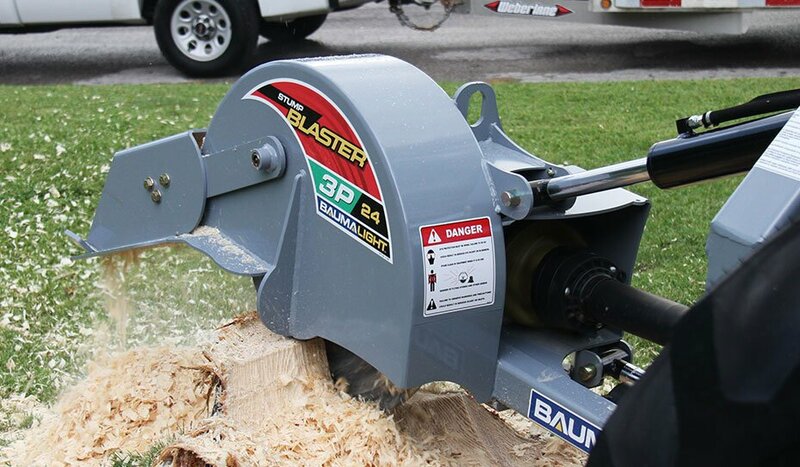 Baumalight 3P34 Stump Blaster in Action – South Australia. 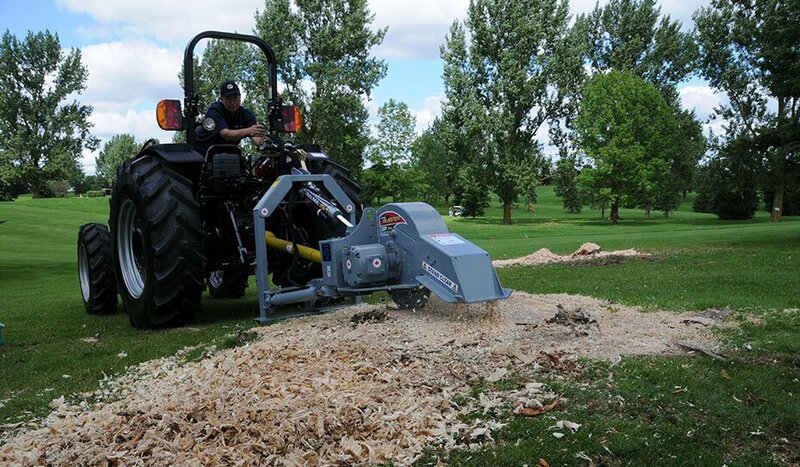 The main difference between the models is the type of hitch and the stump cutting times. 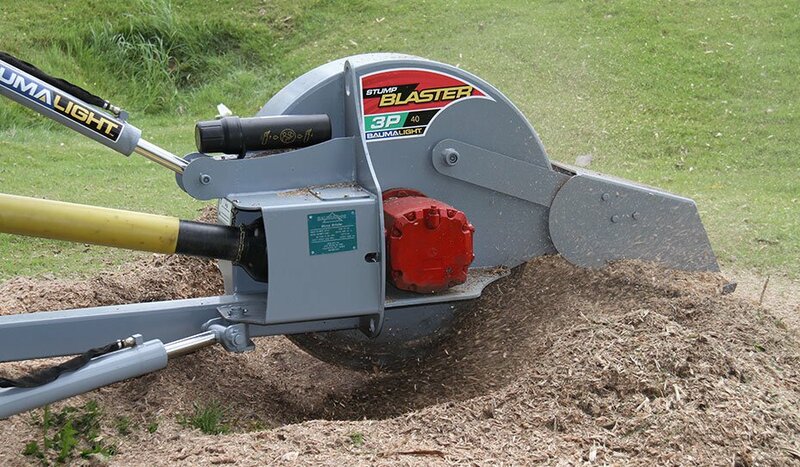 The 1P24 at 20hp has a 30 minute cutting time, whereas the 3P40 at 120 hp has a 2 minute cutting time (on a 30″ high stump with a 42″ root base). If you have a 20-45hp PTO and Cat 1 three point hitch, this model is ideal for you. 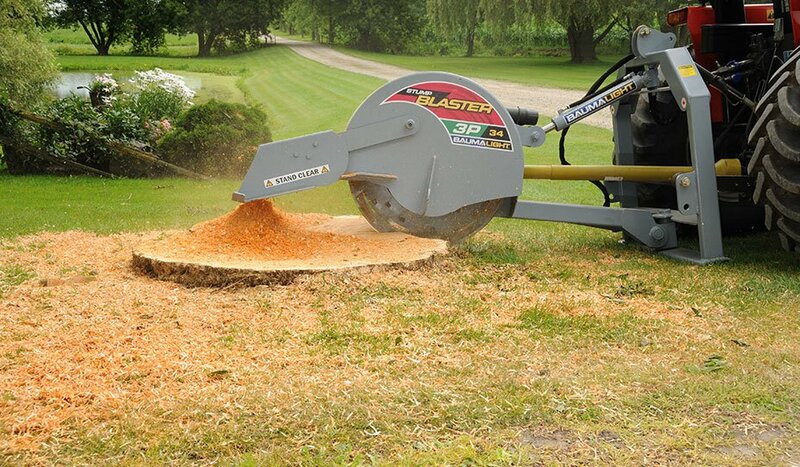 You can rip into stumps with a 24″ rotor and 34 replaceable carbide teeth. No hydraulics required. The high number of carbide teeth make quick work of any stump and the heavy duty construction and rugged design will ensure safe stump removal for many years to come. 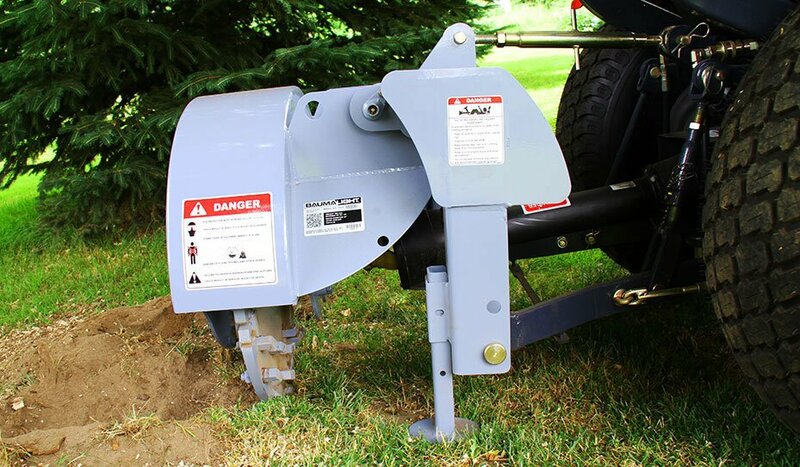 All PTO stump grinder units are shipped standard with PTO shaft, and when applicable, standard quick couplers. Grease zerks and replaceable brass bushings are provided at each major pivot point to extend the service life of your stump blaster. Once again, a 24″ rotor and 34 replaceable carbide teeth work well for 25-55hp tractors and the cutting and lifting cylinders are powered by your tractor’s hydraulic remotes. 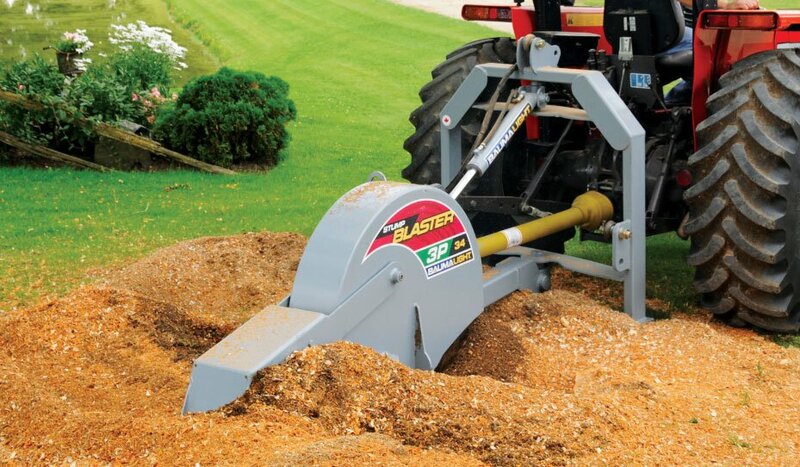 The heavy duty base provides a solid base for grinding, reducing stress on your tractor and the flow control lets you set the optimal grinding sweep speed for the best efficiency. 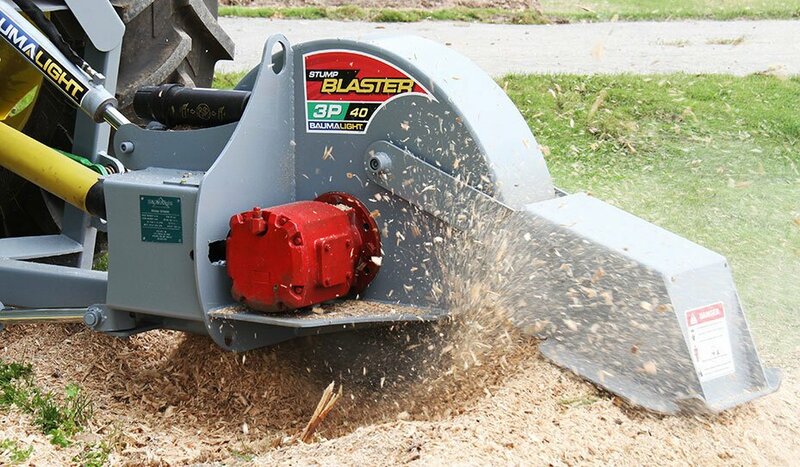 If you own a 45-80hp tractor and want to rip into stumps with a 34″ rotor and 54 replaceable carbide teeth, this stump grinder has a rugged gearbox and creates 803 ft/lbs of stump destroying torque. Versatil, it has a cutting depth of 25″ above ground and 14″ below ground. 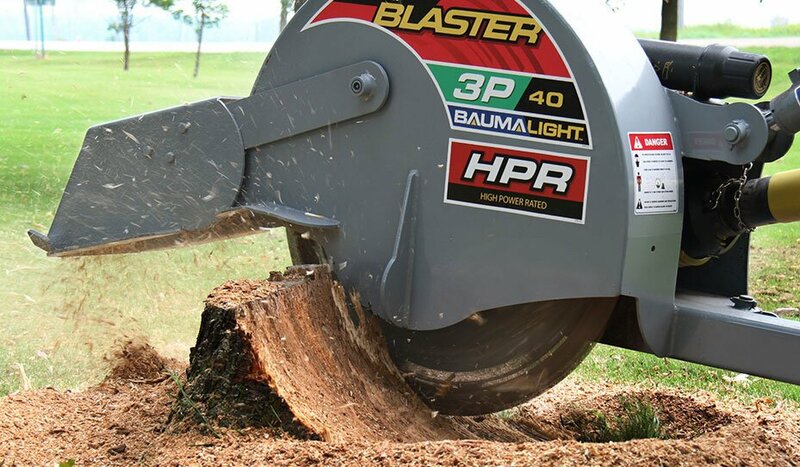 Designed with high performance in mind, the 3P40 will devour large tree stumps with its 54 replaceable carbide teeth and 34″ rotor. 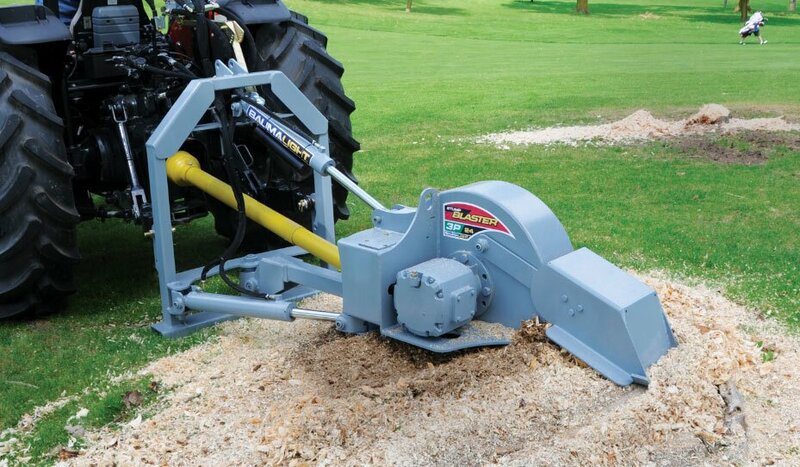 This model is the most powerful PTO model and can grind a 24″ stump in 2 minutes with a cutting depth of 25″ above ground and 14″ below ground.